The Nonprofit Center offers a practical and economical way to gather critical data about your organization and its ability to operate effectively and fulfill its mission. By identifying key areas that may be hindering function and performance, the organization can then be equipped to address them and progress. 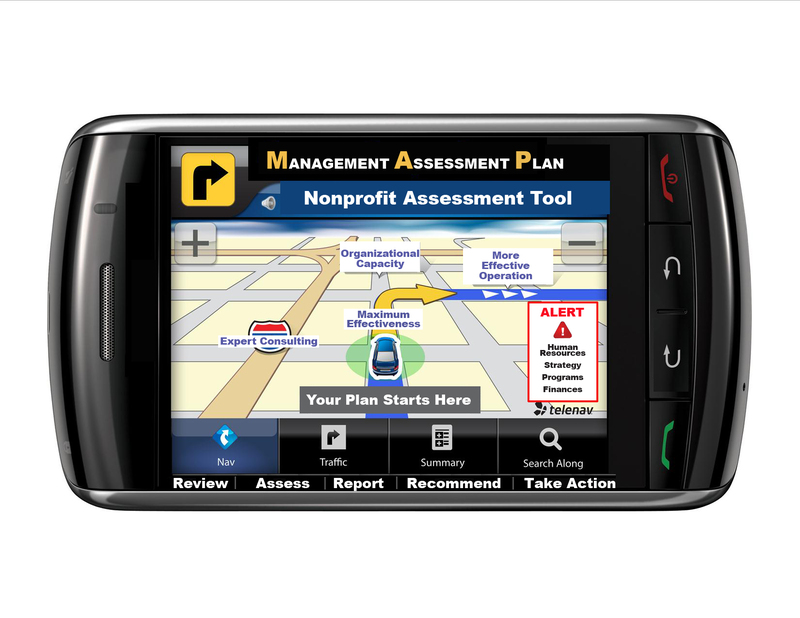 This Management Assessment Plan –MAP– brings you expert nonprofit consultants who, with the aid of a proven, standardized tool*, collect data about your organization’s performance. This data allows the objective experts to make recommendations that enable your organization to maximize its effectiveness and address deficiencies. It provides valuable data to enables organizations to make informed decisions and choices in essential areas of operation. Other assessment tools that you complete yourself tell you where you think you are as an organization; MAP shows you what the data says you really are. And once you know that you can start addressing your weaknesses and building on your strengths. The Process: Once it’s been determined that MAP is the right tool for your organization, a consultant will review documents and gathering relevant information including conducting key interviews with the designated people in your organization. 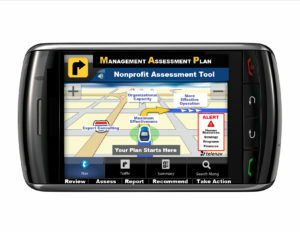 With the standardized MAP serving as the basis of their findings, the consultant will craft a customized report containing recommendations at three levels: those an organization can accomplish on its own, those that can be accomplished with a modest amount of help from The Nonprofit Center and those actions that can be accomplished with significant amount of help from The Center. The report is presented to the organization’s Board of Directors. Follow-up from The Nonprofit Center helps to guarantee that appropriate action on the recommendations will take place and the report will not stagnate. The Value: Many nonprofits we work with have been struggling with time and budgetary restrictions that force them to defer their need for planning or other important projects that will enhance the organization’s ability to deliver on its mission. Recognizing a serious unaddressed need in the nonprofit community that inevitably leads to lack of direction, confusion, poor morale, and impaired effectiveness, The Nonprofit Center developed the MAP to provide an affordable process to give you concrete set of recommendations to help move your organization forward. *The original version of this “Organizational Capacity Assessment Tool” was created by McKinsey and Company for Venture Philanthropy Partners (www.vppartners.org), and published in Effective Capacity Building in Nonprofit Organizations (2001). It was modified and assembled in electronic format by Blueprint Research and Design, Inc. for Social Venture Partners Seattle (www.svpseattle.org) and is used with permission from Venture Philanthropy Partners. The Nonprofit Center is confident in the effectiveness of this existing pro-bono assessment tool to provide nonprofits with the expertise of consultants in gathering the data and making appropriate recommendations based on the findings. Many organizations, from foundations to international development organizations, have relied upon this organizational capacity assessment tool. Thus, our clients receive the value of MAP with minimal expense incurred only for consulting fees.